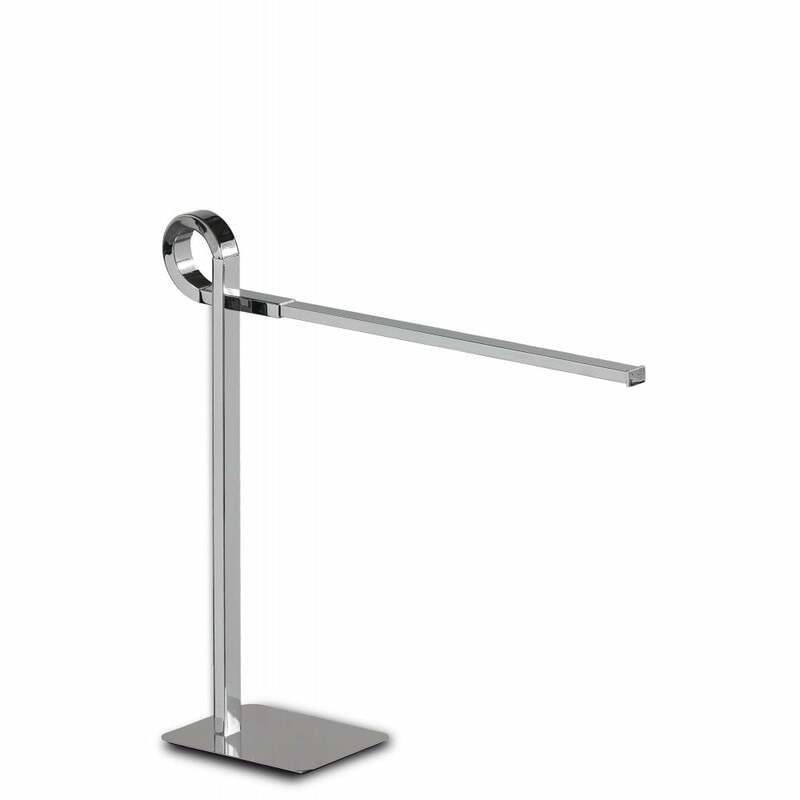 Mantra Cinto single integrated LED table lamp features a flat base holding a unique, horizontal design frame all in a polished chrome finish. The product code for this table lamp is M6135. This modern creation by Santiago Sevillano Sebastia displays a sleek linear frame with a loop design all in a shiny chrome which will be perfect for the contemporary home. Integrated with 6 watts of warm white LED's this fascinating, innovative design will provide your space with stunning illumination. This LED lamp comes with a 3 year warranty. Please browse our website to view alternative fittings available in this extensive new range from Mantra.